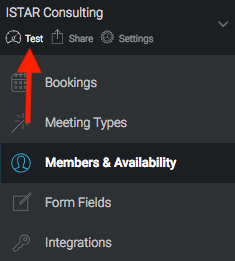 2) When scrolling over this area, plus signs will appear on the right side of each section. 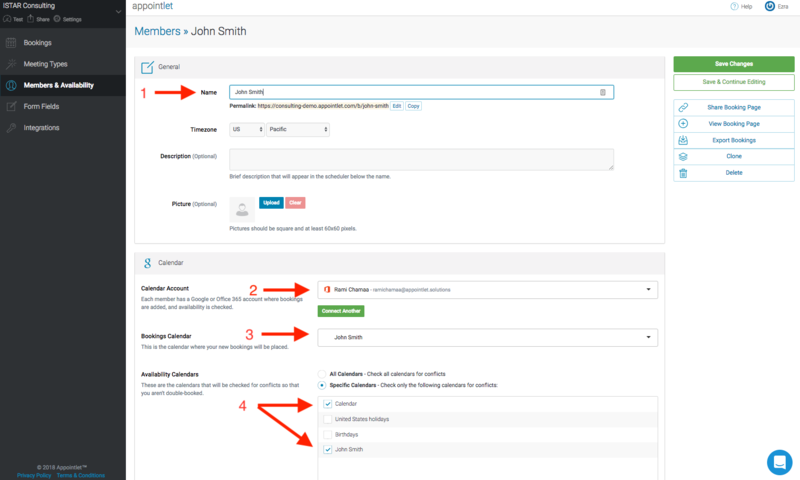 Click the plus sign next to "People's Calendars" and a field will appear where you can type in the name of the new person's calendar. This is where you can enter your member name. 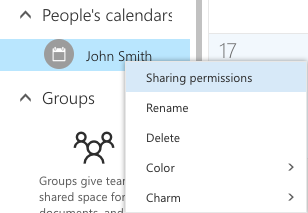 3) Click on the member that you just created and select "Sharing Permissions"
4) Enter the email address associate with the member that you want to connect to this calendar. When you are finished, hit "Share" to send them an email requesting permission to share and connect this calendar with their account. Once they accept this request, Appointlet's bookings will have permission to write events to their calendar. 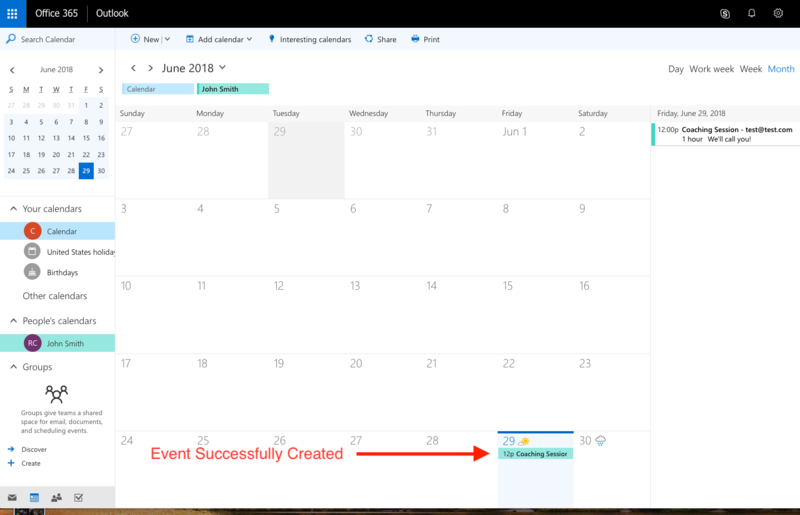 8) If you followed the steps correctly, then upon completing the booking, it will show up in your Bookings Dashboard and the event will be written to that member's Office 365 calendar.